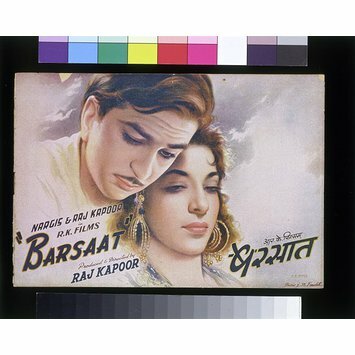 Song booklets are unique to Indian cinema. They contain a film synopsis, stills and song lyrics. The booklets were sold to the audience for a few annas (pence) and in the absence of cheap recordings people would be able to sing the songs at home using the lyrics. In most cases the text was reproduced in Hindi, Urdu and English. Often artists could be more creative and innovative with the booklet covers than the posters. 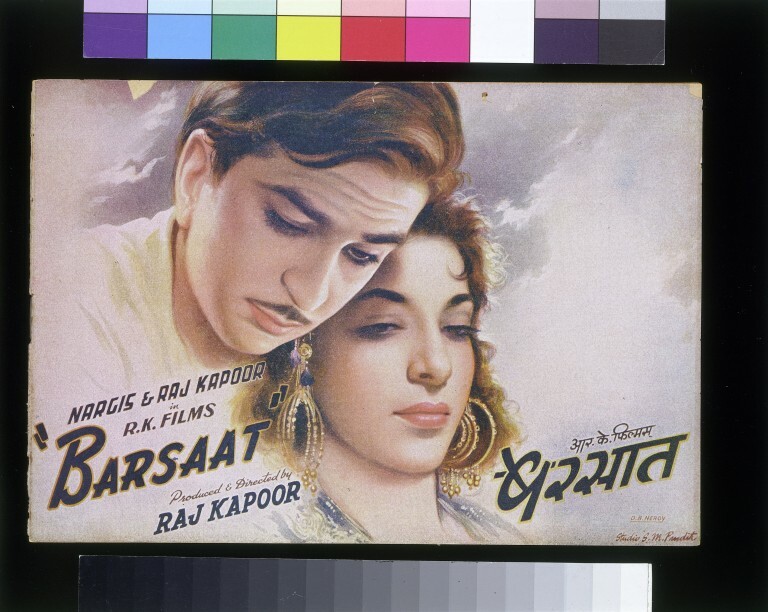 The cover which depicts the two main stars, Raj Kapoor and Nargis in a very delicate style using pale colours is very typical of the artist S. M. Pandit. The front cover of this booklet has the portraits of Raj Kapoor ann Nargis set against the open sky with clouds floating behind them. The entire image is executed in pale, delicate colours. The signature of the artist is in the bottom right hand corner.